These Gas Fired Air Curtains – FACH series has been designed to protect the room or area against uncontrolled external airflow through the doors or building openings and helps to save energy which is used for keeping a desired temperature in the building. 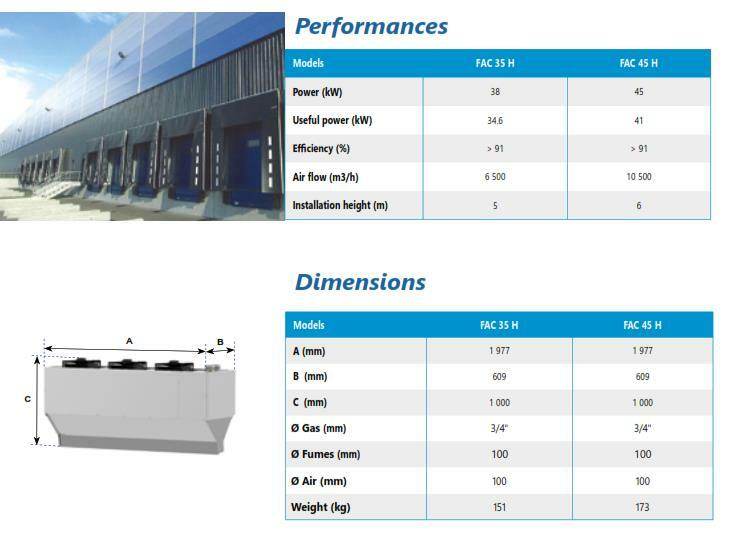 Our gas fired air curtains, the FACH is composed of a tubular heat exchanger and a multi-jet gas burner which works with natural gas (G20/G25) or propane gas(G31). 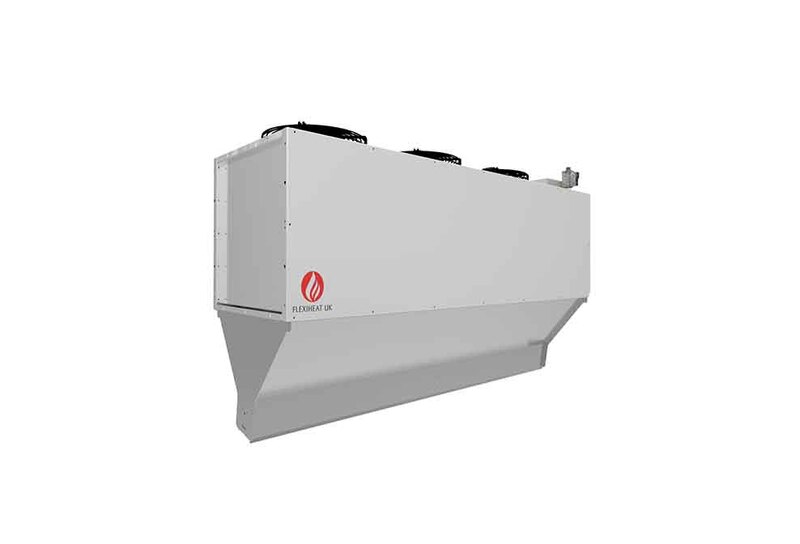 The range includes 2 models from 38 kW to 45 kW. The Flexiheat FACH-Horizontal air curtains are used to protect doors from 2 to 6 meters, and are also available as a vertical air curtain too. 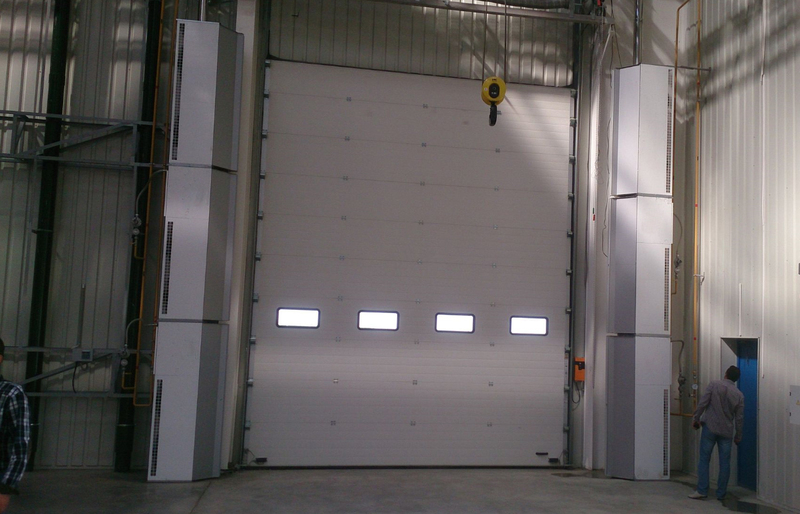 They come in a standard module length of two metres , and can be used in multiple units to cover doors from 2 to 6 metres wide . 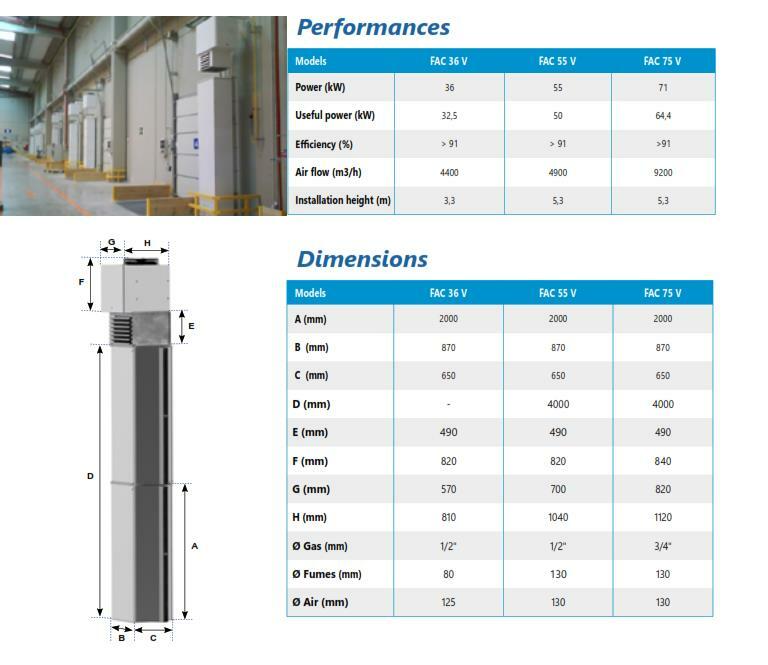 The smaller gas fired air curtain unit , the FAC35H can be mounted up to 5 metres , and the larger unit – the FAC45H can be mounted up to 6 metres high. These air curtain heaters are ideal for use on loading bays, warehouses, hangars or factories, saving forklift drivers time as they don’t have to get out of their cabs to close and open doors , and make moving from one area to another safer and more convenient. Unlike plastic slat curtains, which quickly become opaque with use, an air curtain provides 100% visibility at all times. The energy saving air screen reduces heating and cooling costs by up to 80% while protecting the internal climate and increasing people comfort. It keeps the atmosphere clean from pest and insects, dust, airborne, pollution, smells, odours and stops draughts and cold or hot air entrance. 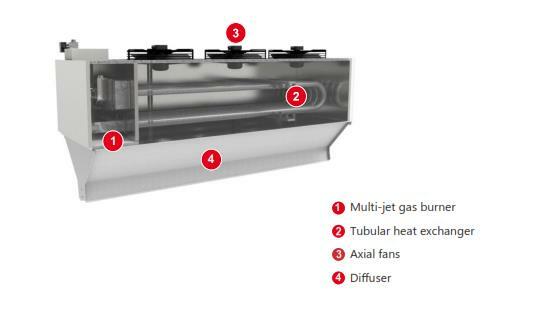 The functioning of an air curtain heater is based on a high velocity jet of air that covers all openings. 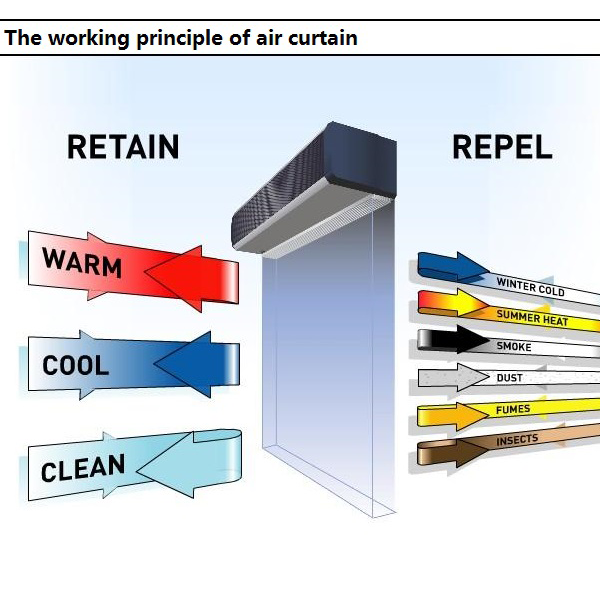 Heated air curtains creates comfort by the jet of air on people as they cross the air screen and helps to maintain the temperature on the entrance. Should you require anymore assistance or information on our Air Curtain Heater range , please don’t hesitate to contact our sales team on 01202 822221 or click here for our email contact form.